Even with the recent increase in multi-unit franchisees, the single-unit franchise remains the standard for many brands. 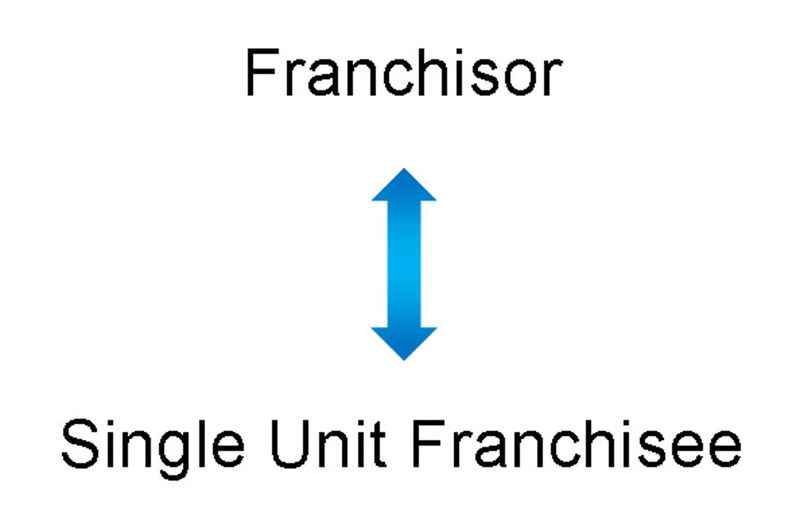 In franchising, there have historically been two general types of franchisees: Single-Unit and Multi-Unit. Historically, Single-Unit Franchisees have been the bedrock of franchising. Individuals, or often a pair of spouses who were looking to own their own independent business, would invest what would often amount to their collective life savings into a single franchise unit. This was the main model for franchising for the better part of the last fifty years. Over the last couple of decades, however, the Multi-Unit Franchisee has increased in volume, power, and influence. In particular, since the 2008 market downturn franchising often became a more stable option for companies and individuals trying to protect and grow their wealth. This has led to a greater sophistication in the multi-unit arena, where it is not uncommon for a Multi-Unit Franchisee to be a bigger and more experienced company than the franchisor they are investing in. However, even with the growth of the Multi-Unit Franchisee, the Single-Unit Franchisee remains the standard for many brands, at least for now. When you think of traditional franchising, the Single-Unit Franchisee is typically what you will see. A franchisee will invest in a single unit with no promise or expectation that they will open any future additional locations. This is the common example of a husband and wife who have left corporate America in order to be their own bosses, to own their own business. They usually are investing their life savings, and it could be a very substantial amount, but they are limited in their resources past that. They may have some experience operating a business, or they may not. Typically their back-of-house operations consists of their personal computer and maybe a home office. In this situation, there is only a single Franchise Agreement between the franchisor and the franchisee. The Single-Unit Franchisee will often be the main operator of the unit. There are situations where a Single-Unit Franchisee will hire an operating principal to run his or her location, but more often than not they are investing in the franchise as their way of “buying” a job and thus will avoid paying an additional operator’s salary. For almost any new and emerging Franchisor (i.e., a brand with only a few or even no existing corporate locations that has just made the decision to expand the brand by franchising), the Single-Unit Franchisee will be how they begin their expansion. Most Multi-Unit Franchisees want to wait to see how an Emerging Franchisor operates – the depth and quality of their operating, training, and support systems – before investing, and an emerging franchisor simply does not have that type of history or experience yet. A ‘protected’ territory could have many different protections for the franchisee’s territory, from a specific timeframe in which they had exclusivity, or a protection from the franchisor being able to offer branded products at unaffiliated stores within the territory, to the franchisor not being able to acquire competitors that have locations within that protected territory. For a Multi-Unit Franchisee, there is an Area Developer Agreement, which specifies the number of units that the Multi-Unit Franchisee will open, in what time period, and in what specific territory. This territory is almost always protected, subject only to the franchise breaching any of the agreements. There is an individual Franchise Agreement between the franchisor and franchisee for each individual unit that is opened. Typically there is a schedule or required time in which each individual unit must be opened under the Area Developer Agreement. If that schedule is not adhered to by the franchisee, they can risk losing their rights to open any further locations under the agreement. A Multi-Unit Franchisee can be an individual or couple, similar to the Single-Unit Franchisee, but more often in recent years that Multi-Unit Franchisee is a corporation of its own. Many such corporations have many different franchise brands in their portfolios, and carry an incredibly robust and sophisticated back-of-house that is able to efficiently operate dozens or even hundreds of locations under one franchisor. Such corporations will typically only invest in well-established and proven franchise systems. While a Multi-Unit Franchisee certainly requires a higher investment level, it also provides more stability and a higher expected rate of success, as they are not reliant on only one location to be successful. There are also saved costs because of the efficiencies of having one back-of-house for multiple locations. Additionally, franchisors will often offer reduced fees and royalty breaks for Multi-Unit Franchisees to entice them to invest at a higher dollar amount initially. For example, many franchisors will require that a Multi-Unit Franchisee pays an initial portion of the franchise fee for each location specified in the agreement to be opened. This can be seen similar to a deposit, but really is a fee paid to keep those prospective locations off the market during the duration of that development period.